Stir liquids together. Add sherbet and stir gently. 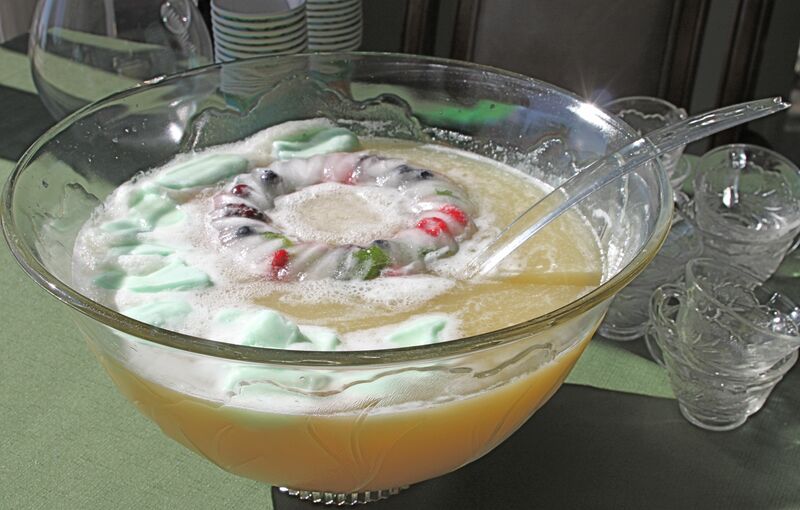 The lime sherbet melts and makes a milky green punch with foam on top. Don't forget to add your fruit and ice ring that we made in the previous post!